Measuring the volume of magma Merapi volcano, said Masato Iguchi, as its main his program. He said when monitoring Merapi activity together with the head of BPPTK Surono, at Office of BPPTK Yogyakarta on Wednesday (10/11/2010). "How much magma is left to be the most important programs. We do not know how many volumes now," Iguchi said. 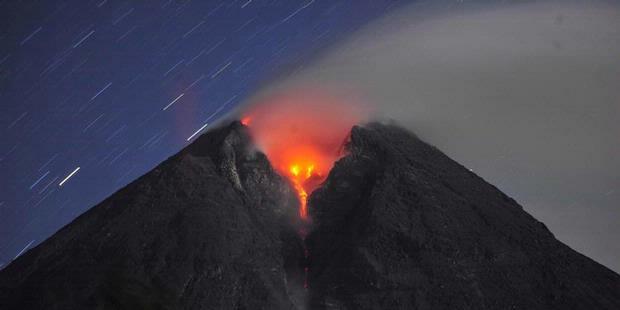 He visited Indonesia to investigate the current activity of Merapi, which according to some circles of the ordinary. He will work with referrals from Surono and a number of other experts. It is said Surono, the presence of foreign experts not because of local human resources are not capable, but because of Merapi is a natural laboratory that is open to all researchers. "This is not because it is not capable, but because of Merapi is a natural laboratory, which every expert can examine it," said Surono.